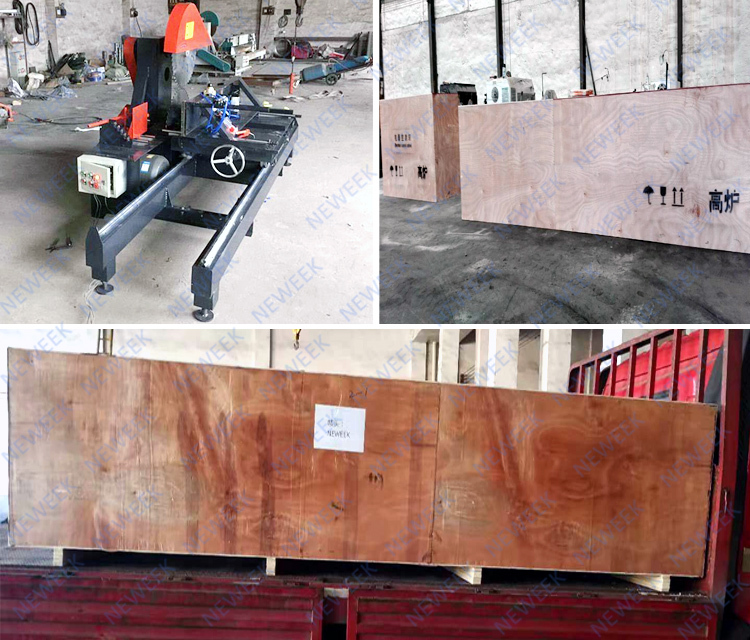 We usually pack the sliding table saw wood cutter saw machine in standard export wooden cases. We will wrap the entire machine with a plastic film to prevent the sliding saw machine from scratching. Then fix the entire body with a wooden box to prevent the table saw machine from being damaged due to transport bumps. 1. 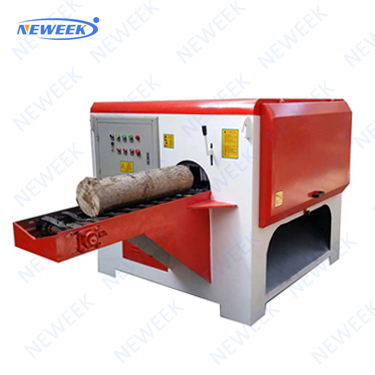 The wood cutter saw machine has the nature of a band saw, but the effect is more than 4 times that of the band saw. The round can be opened naturally. All the pieces are opened, and the material can be taken to avoid the phenomenon of band saw sawing and digging. 2. The round table saw has high safety and smooth saw surface. It is suitable for short wood hardwood and large diameter wood. The specification can be adjusted. It is convenient and accurate to move by ruler. The data above is standard data, and can be customized. 1. Large and small power motors can be used according to the size of the machine, and pneumatic devices are used. The wood is clamped and hooked for quick, flexible and safe. 3. 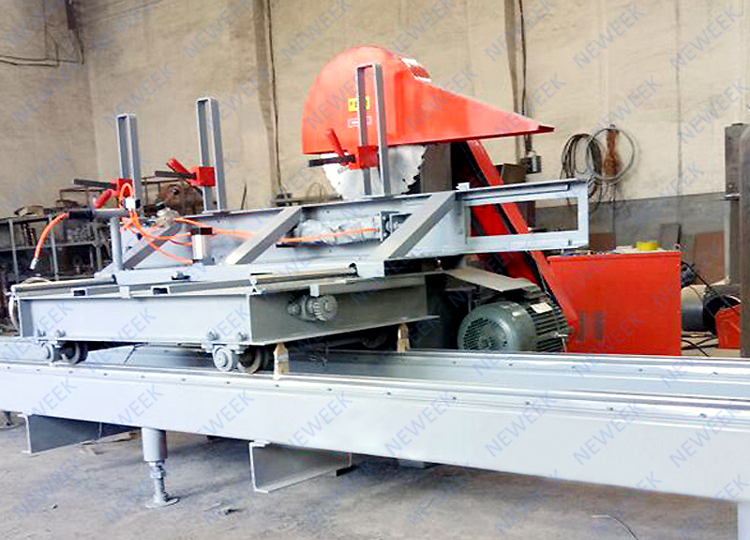 The wood cutter saw machine adopts large-sized saw blade, and the sawing blade with the scraper and the upper and lower saw blades is smaller. The sawing surface is smooth and smooth, avoiding the phenomenon of sawing and digging. The processed product is smooth and the standard does not need to go through the planer or secondary processing. This machine can completely replace the band saw. 1. 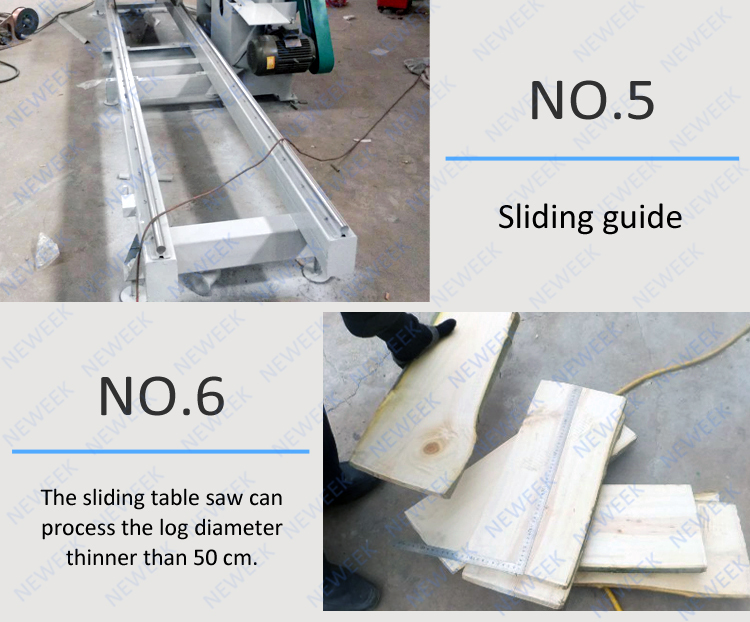 Before starting the sliding table saw, check whether the multiple saw blades are securely clamped, the rotation direction is correct, and the screws are firm. 2. Check that the power supply voltage and air supply pressure should meet the requirements. It can be turned on after checking. 3. 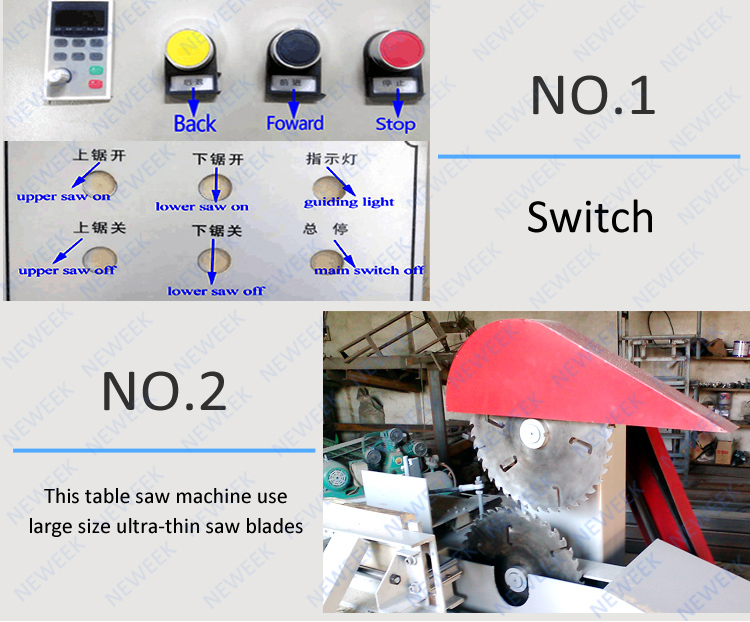 If there is any jam or other abnormal phenomenon during the cutting operation of the sliding saw machine, the power should be turned off immediately, and the equipment should be inspected before the equipment is completely stopped. 4. Each 8 hours the sliding table saw works, the saw blade should be trimmed to improve its service life. Do not wait until the saw blade is blunt or damaged. When installing the saw blade, ensure that the contact surface of the splint sleeve and the saw blade are clean and free of debris, and the contact surface is prevented from being scratched. Ensure that the saw blade is mounted flat. 5. Regularly adjust the transmission triangle belt and regularly lubricate the mobile system. 6. After processing, the power should be cut off. Clean wood chips and other debris from the sliding saw machine. And check and maintain the various parts of the equipment. Usually, we use standard export wooden cases for packing this sliding table saw wood cutter saw machine. We will first wrap the entire machine with a plastic film to prevent the sliding table saw machine from being damaged and scratched. Then fix the fuselage with a wooden box to prevent the machine from being bumped and damaged during transportation. If you have special requirements, you can contact us. For the sliding table saw, we support TNT, DHL, FedEx, UPS. If you need, we also support delivery by ship. We can also deliver the sliding saw machine to your agent in China if you have. Zhengzhou New Week Trading Co., Ltd. was established in 2010. 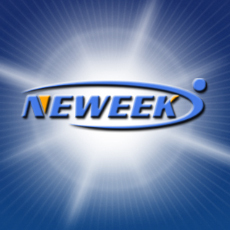 Since 2010, NEWEEK focuses on becoming one of the most professional manufacturer and solution provider of wood machine. Almost 10 years efforts, we have exported thousands of economic and high quality products to our customers around the world, and also accumulated valuable experiences on technology, delivery, certification, after-sale service, etc. We have been engaged in the wood machinery industry for many years and have accumulated rich experience in products and services. We always serve our customers with sincere attitude and professional knowledge, and provide customers with better products and better service. It is our persistent attitude. 1. We have one-on-one exclusive customer service staff, 24 hours online. 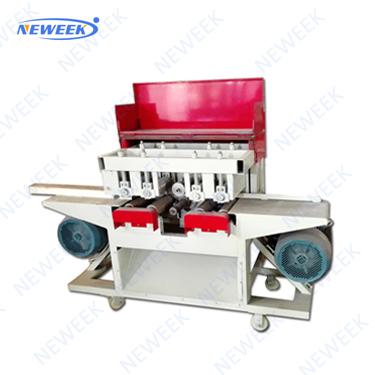 In order to better understand this sliding table saw, you have any questions, please feel free to contact us, we will provide you with professional answers. 2. 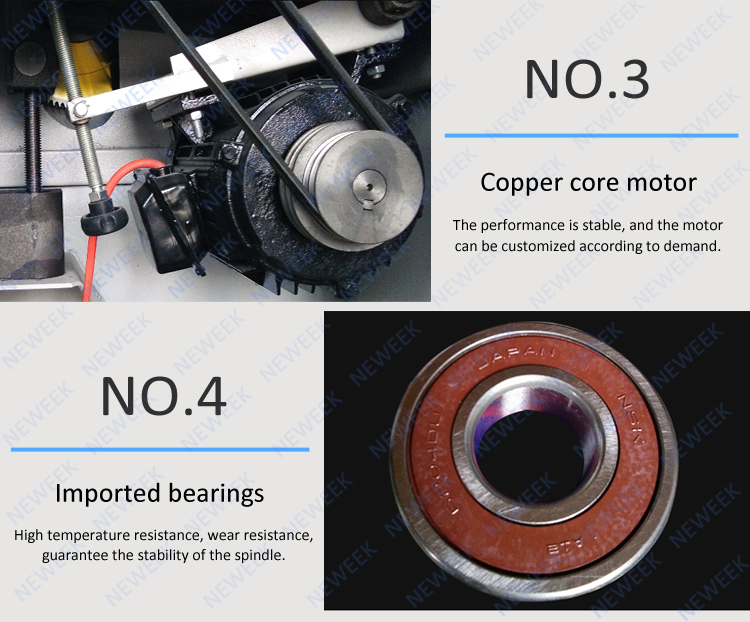 In the same competitive conditions, we sincerely offer you the most favorable price without reducing product performance or replacing parts. 3. We can guarantee the quality of the sliding table saw wood cutter saw machine, from material selection to processing, manufacturing, molding, and after repeated testing, we make products with strict and scientific attitude. 4. We provide product customization services. 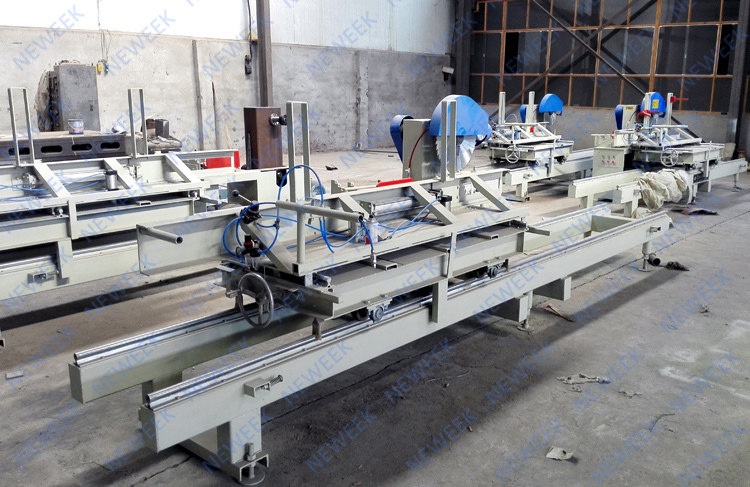 As for this sliding saw machine, if you have special requirements, we can make it according to your requirements. 5. If you need, our engineers can go overseas to guide you through the installation and use of the sliding saw machine. Thank you for your precious time! 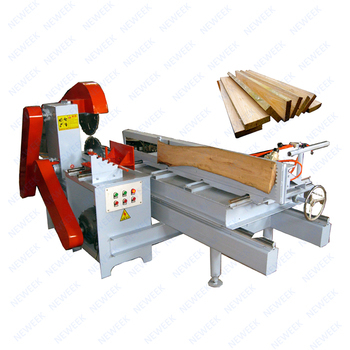 For more information about the sliding table saw wood cutter saw machine, please feel free to contact me!